If you live in a rural area, you’d be forgiven for thinking that there is likely to be less crime. However you may be surprised to learn that is not always the case. In fact, whilst crime rates in rural areas are, on the whole, lower than in big cities and busy towns, living in a rural area could make you a target of theft – whether that’s vehicle theft, metal theft (from roofs or pipes) or burglary. Farms – an easy target? Farms are a frequent target for thieves as they know they’ll find thousands of pounds worth of farm vehicles and equipment, usually left unattended overnight. Add to that the isolated locations of most farms and you have a prime location for thieves to target. Last year, farms across the UK saw a significant rise in the amount of tractor thefts – in fact, claims for tractor theft increased by around 35% compared to figures from the previous year. A period of improvement in tractor security and rural policing took place in 2012, with the Borders Agency, NFU Mutual, UK police forces and farmers all getting involved. Whilst tractor theft rates fell by more than 32% in the first half of 2012, this sudden increase in rural vehicle theft is concerning not only for farmers and those living in rural areas, but also for insurance companies who could see a rise in the number of claims. With high value tractors costing in excess of £25,000, these are a popular target for thieves as they are seen as easy pickings, although utility vehicles, quads and telescopic loaders are all also targets. 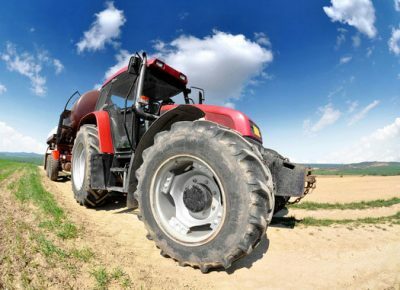 Whilst the theft of any vehicle can be distressing, the theft of a rural farm vehicle such as a tractor can have a much more significant impact, both emotionally and financially, on people’s lives. They may be unable to sustain their business or lose earnings (and even be put into debt) whilst waiting or saving to replace equipment and they even lose contractors or suppliers as a result of the theft. In March 2014, North Devon was struck by a spate of rural vehicle thefts, whilst rural insurance company NFU Mutual claimed that agricultural crime cost the North-East £9.2 million in 2010. This type of crime is often carried out by gangs of organised criminals, who steal expensive agricultural equipment, often shipping it as far afield as Africa and Afghanistan. In addition to vehicle theft, machinery, oil and diesel are amongst the items frequently reported stolen by rural homeowners and farmers. Security lighting is one of the most cost-effective ways to deter thieves, as making your farm or home more visible to others (on the main road, for example) will make it more of a high-risk option for thieves looking for an easy target. CCTV is also an option if you’re considering using surveillance systems. 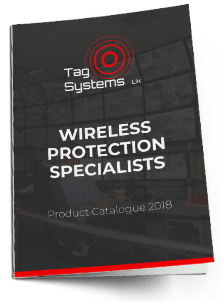 In rural areas and on farms, wireless CCTV systems may be your best bet, as these are usually fairly priced and simple to install – they can also be moved from place to place as needed and re-installed with relative ease. This information can be used not only to monitor staff, but also to provide protection against rural vehicle theft. If your tractor has been stolen, GPS vehicle tracking allows you to easily and covertly track its location. You will be able to see where it has been and where it’s going. This in theory should make it easier for the police to catch the thieves and return your vehicle to you. GPS vehicle tracking systems don’t have to cost the earth and there are systems out there for businesses of all shapes and sizes, from small start-ups to farms to those with huge fleets of vehicles. 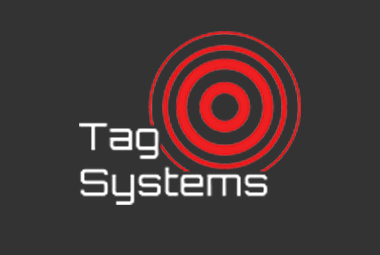 It’s important to choose a system which has been designed with your needs in mind, so if rural vehicle theft is a concern, a system such as the one from Tag Systems is ideal. Larger businesses or those looking for more extensive reporting options may choose a different type of system. Bear in mind that your GPS vehicle tracking system will only work if it remains attached to the vehicle, which is why it’s important to install the tracking device covertly, in an area thieves are unlikely to detect. In most cases, criminals will be more concerned with escaping quickly with your vehicle than they will in searching for a GPS tracker hidden on the interior or exterior of the tractor or other vehicle.